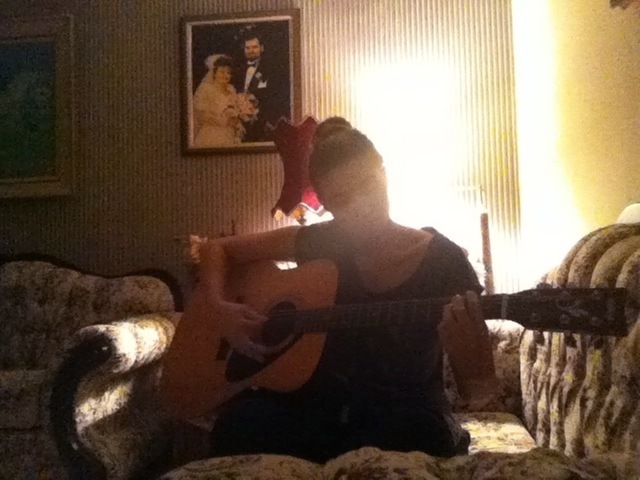 So for Christmas, I got an acoustic guitar from my Uncle! Which has been a really inspiring gift. I have been practicing daily for at least two hours. My fingers are sore and cracked but it’s paying off. Right now, it is a MUST for me to learn,play, and sing this song. Sadly, this has been the way I have been feeling lately. This song has been my reality. Anyway’s, when I’ve got it mastered, I will upload my cover version of it 🙂 ENJOY!